When seventeen-year-old Rosie’s mother Trudie dies of Huntington’s disease, Rosie’s fear of having inherited this genetic condition leads her to a startling revelation — Trudie isn’t her real mother. Rosie decides to travel to America to find her birth mother. 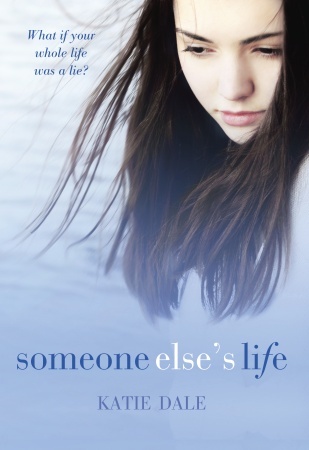 Katie Dale’s Someone Else’s Life is a heart-breaking, emotional read. I had no idea what Huntington’s disease is, but from this book, I feel for whoever suffers from this condition, or is a caretaker for one who does. Rosie drops out of school to be a full-time caretaker for Trudie — a brave, selfless decision that nonetheless leads to an immensely difficult task for anyone, let alone a teenaged girl. One character mistakes Trudie’s condition for alcoholism, and while that character was sympathetic about it, I can’t even imagine how horrible it must be to watch your mother dying of a disease and having people judge her as an addict. Rosie’s decision to find her birth mother leads to other lives being upended, and other difficult decisions that have to be made. The narrative switches between Rosie’s perspective and another’s, who isn’t identified until about halfway through the book, and both viewpoints are differentiated by their typeface. I won’t reveal who it is, as that would be a spoiler. For the first few chapters, I thought it was all from Rosie’s viewpoint, which made it confusing and made Rosie’s situation seem even worse than it already is. To be honest, as the story progressed, I found myself being drawn more to the other narrator’s story. There were points when I was so sympathetic to the other narrator that I hated Rosie, and had to remind myself of how much she went through taking care of Trudie. I was also so pulled into this other narrator’s story that I cried. Twice. I knew this book was going to be emotional (it’s about Huntington’s disease and a search for a birth mom), but I didn’t really expect it to affect me much. My mistake. I got caught up and I got emotional, and not for the reasons I expected to either. It’s that kind of book. This entry was posted in Book Reviews and tagged 50BookPledge2012, Fiction, Random House, YA by Jaclyn. Bookmark the permalink.